Need an intercom, column or access keypad in a special colour? We’ll colour it for you! From now on we can coat our products in your preferred colour. You ensures that the intercoms, registration columns and code keyboards from Fasttel even better match their surroundings. Examples. An access keypad is a modern access system for homes, garages and company premises that is integrated in a key panel. Thus, a key is not needed. Instead of a key, access keypads work with an access screen or card reader. With an electronic card or the right numerical code you can gain access to the building, or for example a specific space in the building. The access keypad is often installed outside near the door, lift or garage door and often provides a solution for calling at apartment complexes with many homes, or when a number of people must be given access. The keyless access method also ensures greater security for company premises and private properties. The card reader can be linked to systems with which you can view who has entered the premises or the room. The Fasttel systems are characterised by flexibility and great freedom of choice, available both (partly) wireless through your existing Internet infrastructure or as an analogue system. Fasttel offers two access keypad models in different versions along with many extension and adaptation options. The ultramodern FT25K is made of a combination of hardened glass and aluminium. 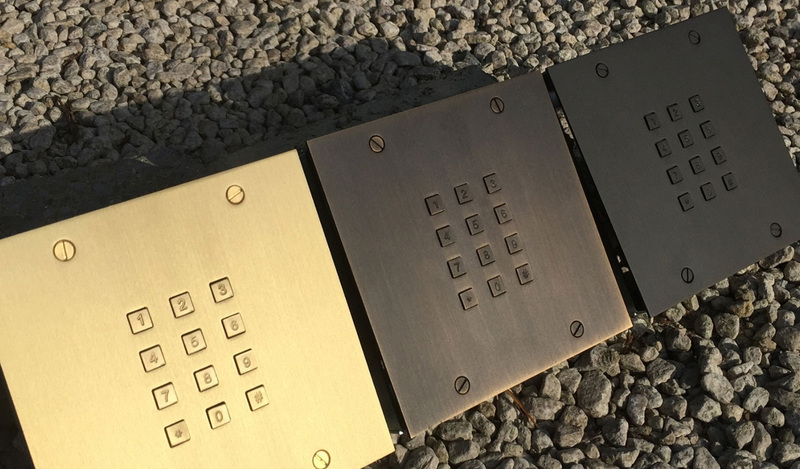 The FT24K in bronze offers the same possibilities, but in a traditional design You can also match and combine these models with your external units, or you can opt for extra security and have the badge reader invisibly built in. Then the module perfectly matches the design of the building and you can organise your access system as you wish. The FT25K is made of glass fired twice at high temperature and aluminium, so it is characterised by life-long durability and a modern design. The keyboard of the FT25K has the same design as the Wizard Elite doorbell with camera. This also makes the FT25K the ideal module for expanding and further securing your access system. The FT25K access keypad is available in black or aluminium/silver colour and works with RGB lighting so you can also choose a suitable colour as you wish. 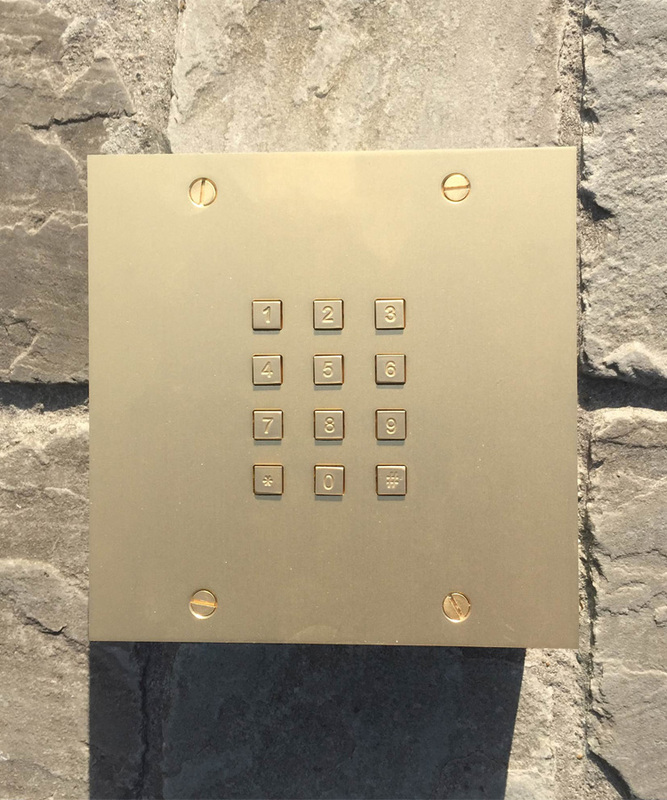 The FT24K access keypad is made of copper so the module has an attractive and individual design. 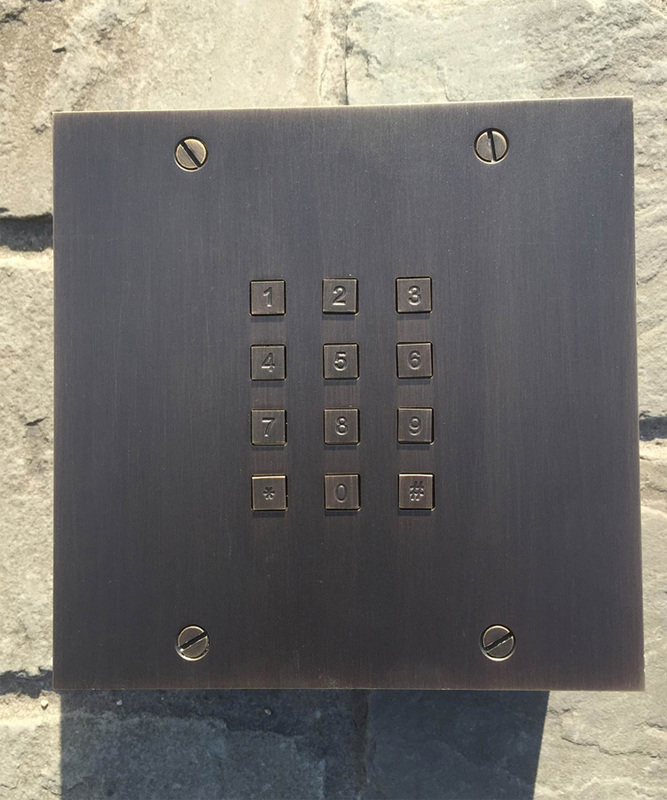 The bronze code keyboard perfectly matches the Wizard Source intercoms and video doorbell. The FT24K is fully in copper with two different sizes and three different bronze colours available. The FT24K modules in a mat honey colour, mat dark colour bronze and mat gold colour give your panel, entrance or your whole premises that elegant and special touch.